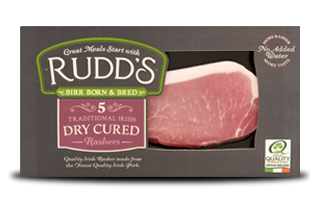 At Rudd’s our delicious range of Irish pork sausages are produced from our own unique recipe. 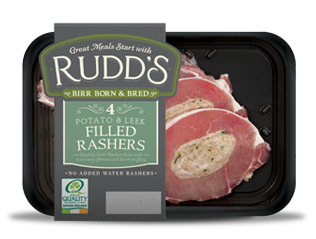 Carefully chosen and prepared in a traditional way, all carry the Bord Bia Quality Assurance Mark and are guaranteed to bring a smile to your mealtime! Winner of the Craft Butchers Gold, 2007. 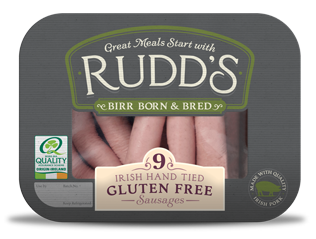 Our Gluten Free Sausages are deliciously tasty and moreish. 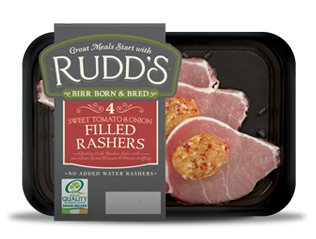 Hand-tied in the traditional way with no compromise on flavour! 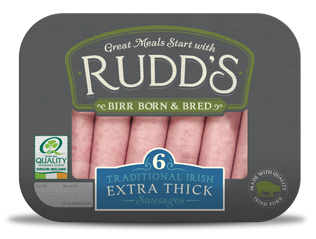 These Extra Thick Sausages are perfect for dinner and sizzling on the barbeque. 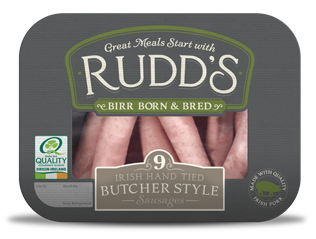 Perfect for those who like their sausages on the big side, delicious and packed full of flavour!